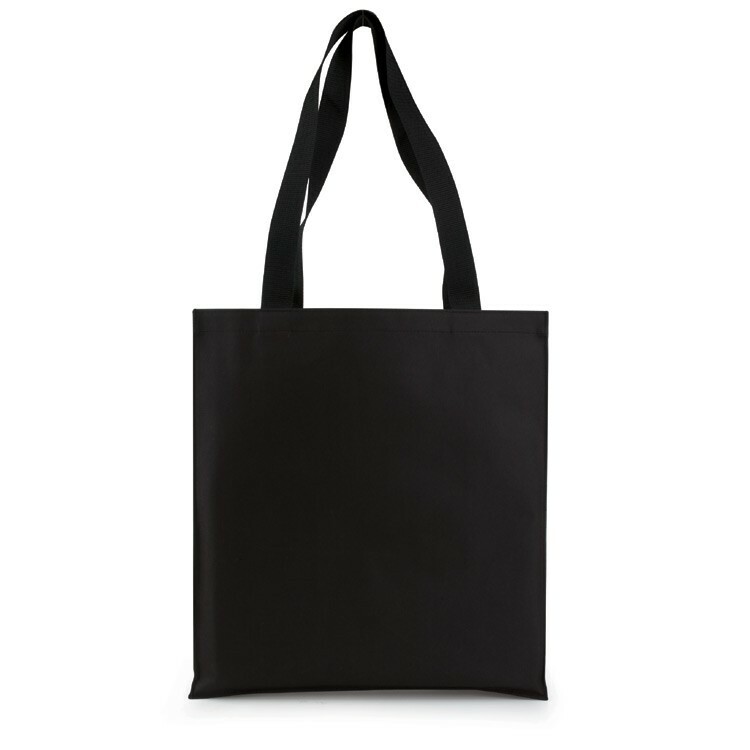 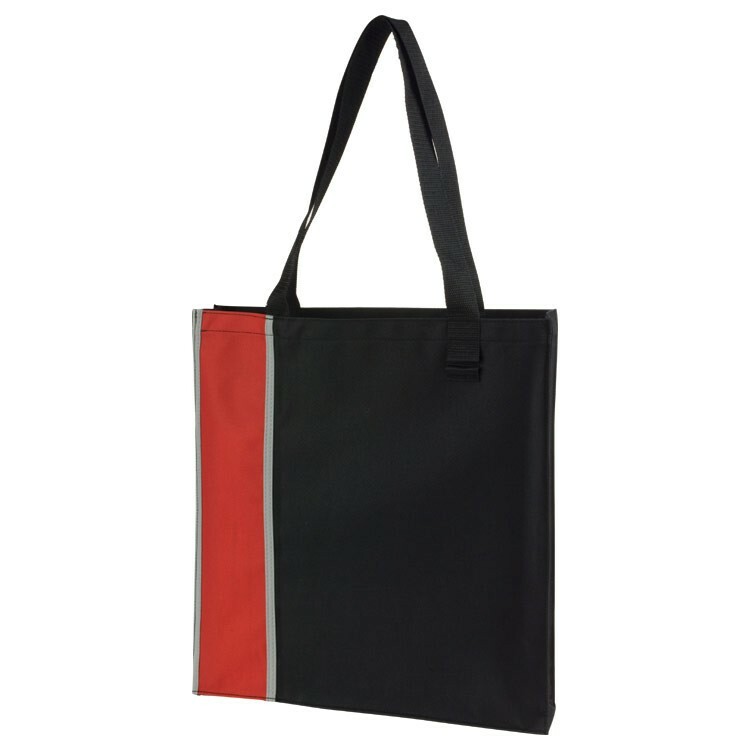 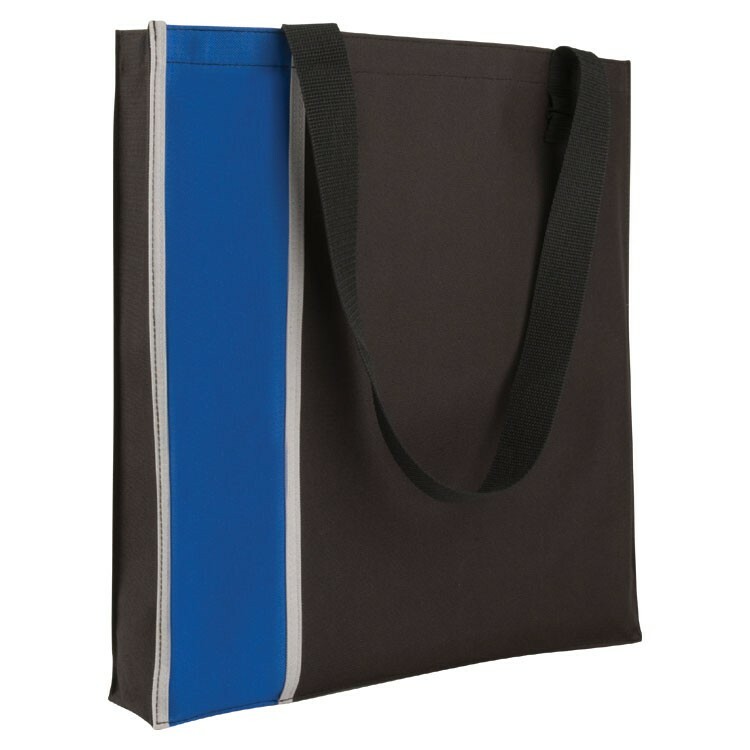 This is a great basic tote bag. It has a thin gusset which is perfect for carrying notebooks and papers. 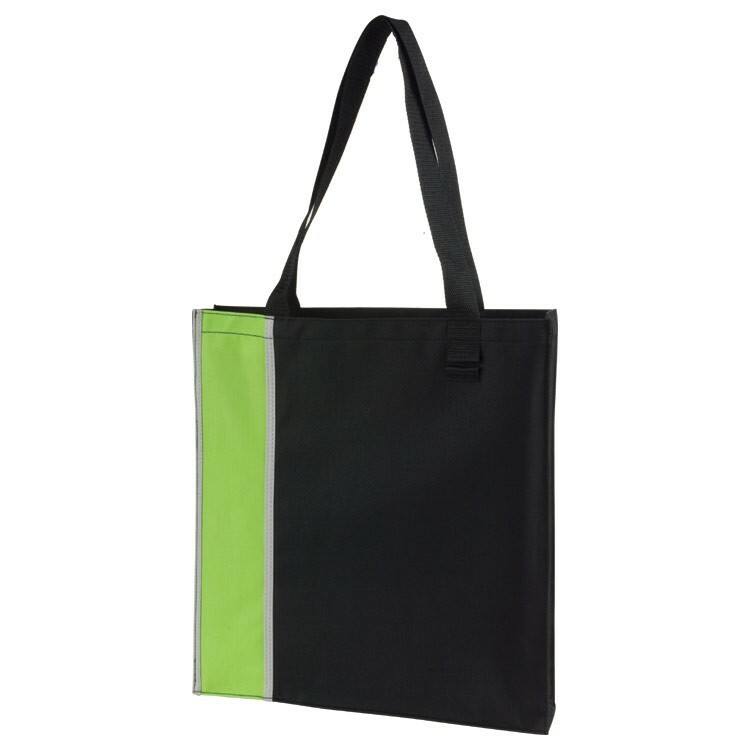 It has a boldly colored strip on one side and long shoulder straps.